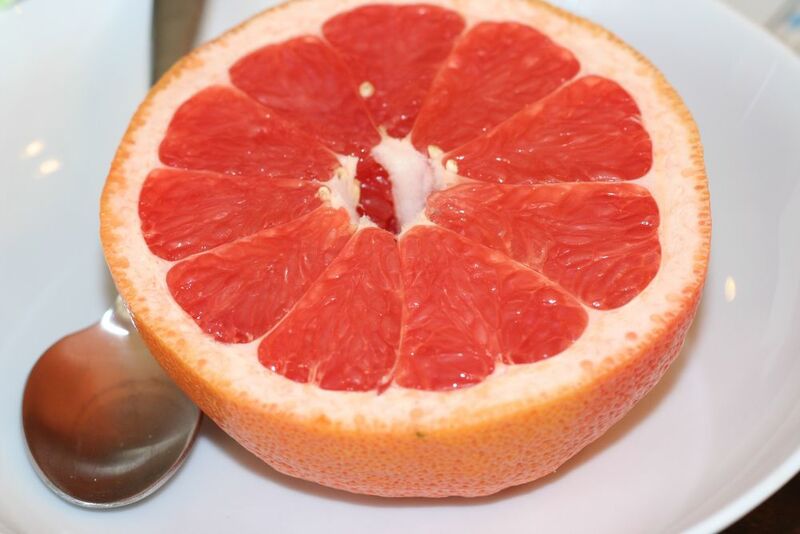 This grapefruit looked so good I had to share it with you! Cut grapefruit in half and cut the little grapefruit compartments to release the grapefruit goodness. Watch out for juice squirting in your eye when you cut!